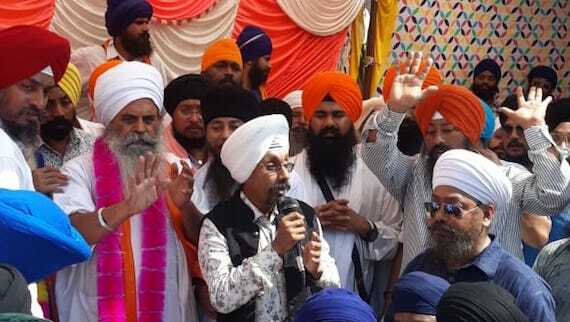 Maharashtra: Local Sikhs have reportedly opened a front to oppose the attempt of BJP led Maharashtra government to take over control of Takht Hazoor Sahib management. Hundreds of Sikhs led by Panj Pyare of Takht Hazoor Sahib on January 21 handed over a memorandum to collector against BJP’s plans to take over control of the Takht Sahib management. Takht Sri Hazoor Sahib Kathavachak Bhai Sarabjeet Singh Nirmale, Baba Balwinder Singh Kar Sewa Wale (Gurdwara Langar Sahib) and Baba Prem Singh (Gurdwara Mata Sahib Deva) was also part of delegation that met the collector. As per information BJP led Maharashtra government had make amendments in section 11 of a 1956 law to retain the authority of appointing president of the management committee which manages the affairs of Takht Sahib. It is notable that in 2015 the Maharashtra government had appointed pro-Hindutva person and BJP MLA Tara Singh as the president of management board of Takht Hazoor Sahib. Tara Singh has resigned later last year.